Since 1983, the Irish Mary Black is an established name in the history of music. At that time she had a break through with both her band De Dannan and her solo carrier. Now, her night album has been released (just like the first seven, recorded in Ireland) Speaking With The Angel (Grapevine/PIAS). If Mary can help it, she will be singing till she is 80. Playing in both a sold-out Royal Albert Hall as in sold-out halls unknown to us. Soon she will visit the Netherlands again for a tour. What do Dutchmen and Irishmen think of this "Singing Angel"? Mary Black has a remarkable voice; a voice that surfaces emotions. To me, she brings back memories of Ireland. She gives a good image of the Irish way of thinking in her songs. She has a warm personality with a warm voice. For me, she is mainly a voice to stay. I think she is a wonderful driven artist. She is also a woman who has made it completely with her songs. I met her several times recently. She is a very charming person and a great professional singer. Well, Mary Black, that is a bit weird. Of course, I know many names with their accompanying music. And I also find a lot of the root music beautiful; also the Irish music is very special to me, but ... Somehow I have never followed Mary Black. Of course I know her name, but she somehow escaped my attention, a kind of 'Black-hole' in my musical knowledge. It may also be caused by the fact that Bert van der Kamp followed this music for OOR. This might be a hole in my collection; I will put her on my list of 'to buy someday'. 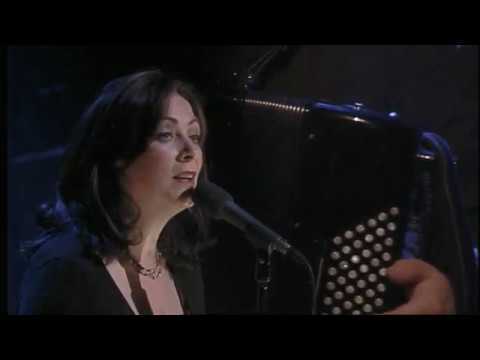 What I find the most attractive in Mary Black's music is her ability to bring over the emotions of the music. With both the cheerful and gloomy songs, she brings the emotions to you, even live. You can also she that she loves performing. This might be due to the fact that she gets the full musical freedom from her manager (and husband). Even after touring the globe for years, when meeting her she remains herself; it is like meeting your neighbour. If find it remarkable that although she is known worldwide, it is still a relatively small group of people that do know her. Undoubtedly this stems from the fact that although she is a great translator of the Irish feeling, she doesn't really fit under the label of "Folk", and neither does she fit under a label like "Mystical". This makes it for record shops difficult to give her a place. Just give her an own label "Mary Black". For the fans: http://mblack.celts.dk. 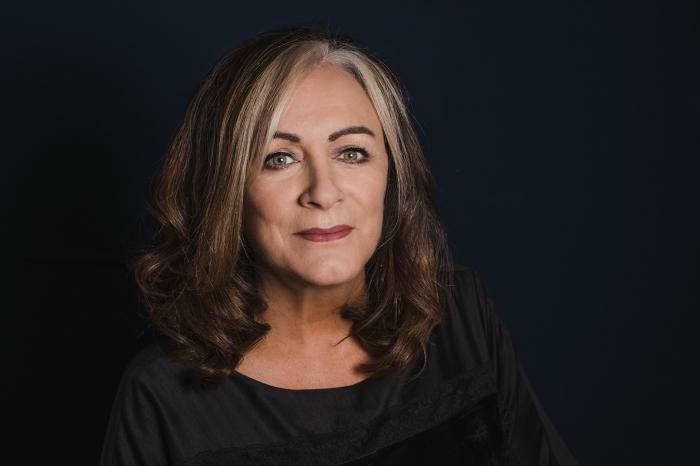 As can be said for many famous singers and groups, it also can be said of Mary Black: You can see her as an ambassador for Ireland. With her music and personal charm, she reflects the warmth of her country quite well. Her music has a clear value for our travelling agency. With many Irish artists we get positive responds and requests for concert lists. Most of the time we don't have them. Personally, I think that she perfectly resembles the Irish tradition of music. Day 1: Oh, please give me some time, I recognise the name, but the rest? Day 2: I have listened to some of her songs. This is nice music in front of the fireplace, of course with a good glass of Guinness in your hand. Sorry, I don't recognise that name. I have visited Ireland several times. Besides good whiskey and whiskey drinkers that also have a lot of people that can sing very well. Mary Black will probably be one of them.